Welcome to your dream home. Custom built contemporary home on an over half acre lot. Overlooking a stocked pond with a breathtaking view of the Niagara Escarpment. 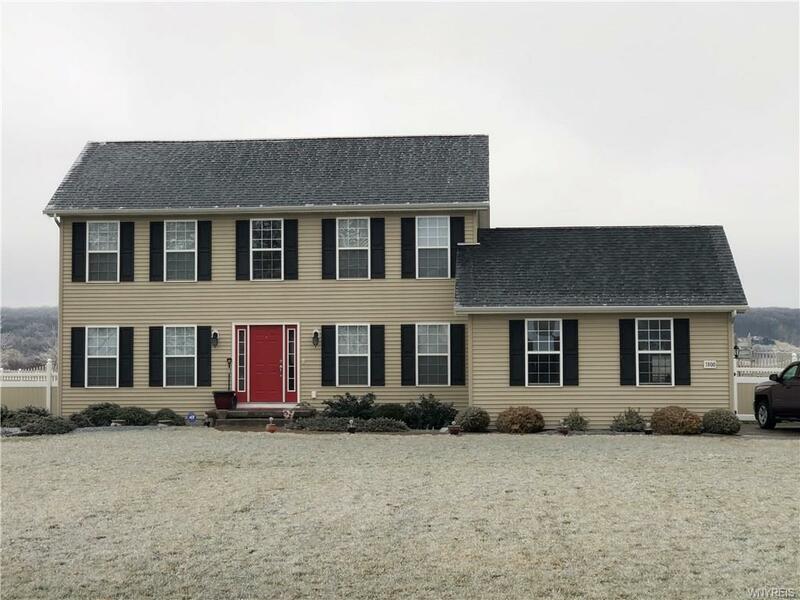 Over 1700sq ft of gorgeous living space, custom built-in entertainment center in living room, vinyl fence on sides and chain along back of property for view of the pond. 27' above ground pool w/deck, year round hot tub on patio right off of kitchen with view of escarpment. Master bath with soaker tub. Partially finished basement for additional space. Newer HWT, all appliances stay: gas stove, side by side refrigerator, over the stove microwave, dishwasher, washer and dryer!! The only thing this house needs is you!! Directions To Property: Ridge Rd To Porter Center Rd, North On Porter Center To Swann Rd, East On Swann Rd To 1800 Swann.